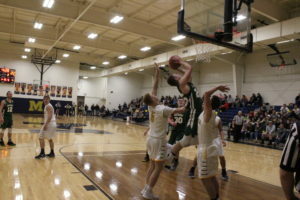 The Central Falcons swooped into the Den in Baker and East Hardy Wrestling defended the territory in a 36-35 victory on Tuesday night. This was the second match of the season for the Cougars against Central from Woodstock, Va. and the only home match for the year. A plethora of fans came to support East Hardy and were given a special pre-match show featuring members of the youth mat club. Fans filled the bleachers to watch the pre-match entertainment provided by the youth mat club. “It was great. It was good for the sport. 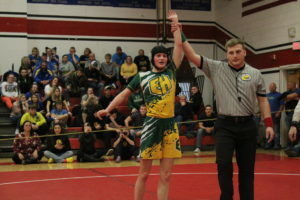 It was good for the team to have that kind of support to show off their skills and I’m happy,” East Hardy Wrestling Coach Stevie Miller remarked. 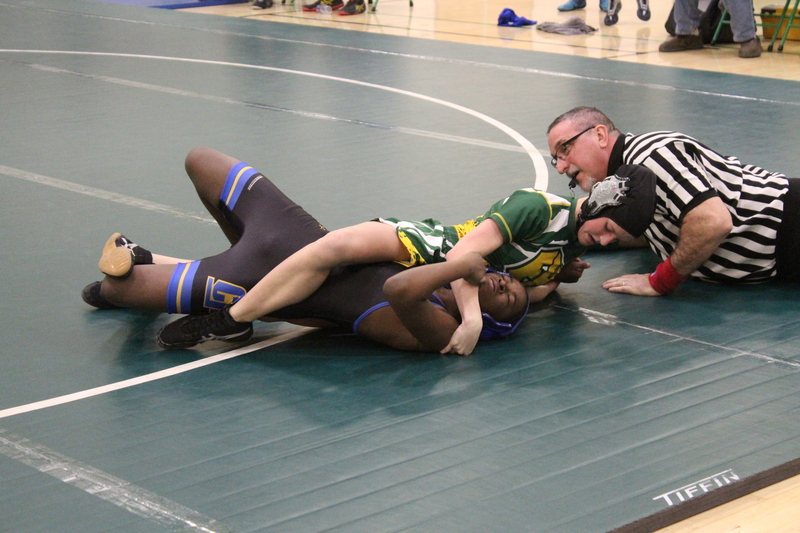 A first period pin by East Hardy freshman Sierra Miller added to five forfeits plus sophomore Cole Pusl battling to finish in a tech fall rather than a pin loss was the edge needed for the team win over the Falcons. Central took the initial lead 6-nil with a forfeit given to Andrew Scibelli (106). Each match for the Cougars started with a huddle and cheer for the wrestler taking the mat. East Hardy tied the match with a first period pin at the 51-second by Sierra Miller (113) over Central’s Quaseem Garland. Both wrestlers locked arms trying to anticipate the right moment to shoot for a takedown. Garland went for a double leg attack and Miller spread her legs, then Garland lifted the right leg as Miller got a headlock when both went tumbling to the mat. 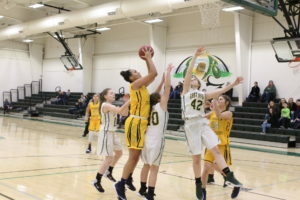 Miller maintained the headlock and wrapped her legs around Garland to reverse to the top holding down one arm and moved her feet lower for balance along the edge of the circle before a whistle for a penalty. Miller wrapped around Garland’s back again tightening her legs around the waist and leveraged with a hold on the neck to position for the pin.